Yeast infections are a common occurrence for women, with three out of four women experiencing one in their lifetime according to FamilyDoctor.org. Several methods, both prescription and nonprescription, are available to treat them. One natural treatment that is inexpensive and purported by natural health practitioners to be effective is the ingestion of grapeseed extract, or GSE. This supplement acts as a nature-based antibiotic and antifungal that kills off proliferating yeast. GSE comes from the rind and seeds of the grapefruit. According to DiagnoseMe.com, a website overseen by medical doctors, it is a broad-spectrum, natural antibiotic that can kill a wide variety of pathogens. Along with bacteria and protozoa, it kills the yeast in both vaginal and systemic yeast infections. It is considered generally safe for most people and can be used for long periods of time without upsetting the beneficial flora in the gut, unlike antibiotics. Dr. Allan Sachs, a proponent of using GSE for candida, recommends that a cleansing diet that is low in sugar and starches be used in conjunction to remove the yeast. 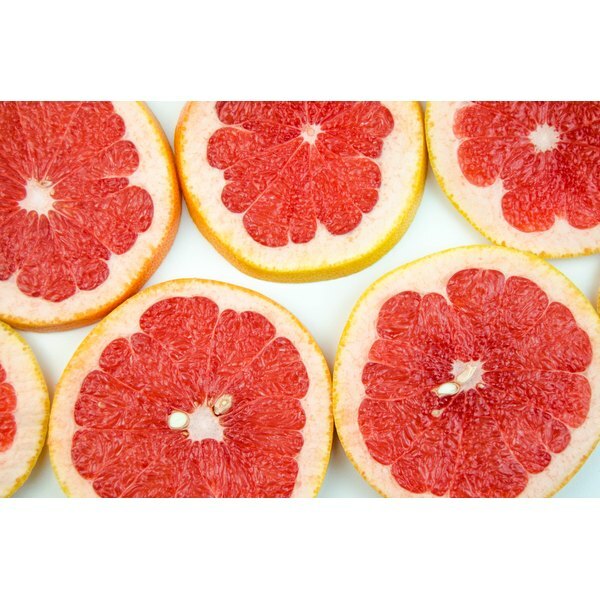 Grapefruit seed extract can be found in most health food stores, in either pill or liquid form. It is also found at most drug stores and on the Internet. Some GSE products contain additional compounds, such as preservatives and fillers. Check the label to see exactly what you are buying. In "Nature's Antiseptics: Tea Tree Oil and Grapefruit Seed Extract", author C. J. Puotinen recommends three or more capsules, or 10 to 20 drops of liquid extract, of GSE per day to fight a yeast infection. Dr. Sachs recommends using GSE as a douche -- 16 drops in 16 ounces of water, once a day for three days. You should discuss exact amounts of GSE for both oral and vaginal use with a doctor. A study from the University of Texas found that GSE has "antimicrobial properties," is safe, and affects bacteria within 15 minutes. Other studies have failed to prove the effectiveness of GSE against fungus. Those with a citrus allergy should not take GSE. It should not be used with immunosuppressant or cholesterol lowering medications or taken with antihistamines.